Heading to Warrnambool, Adelaide… the Grampian Mountains? 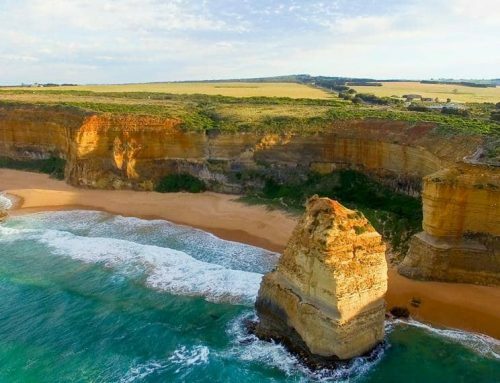 Taking more than one day to tour Victoria’s Great Ocean Road is definitely worth doing. If one day is all you have though, it’s possible to do and not to be missed. 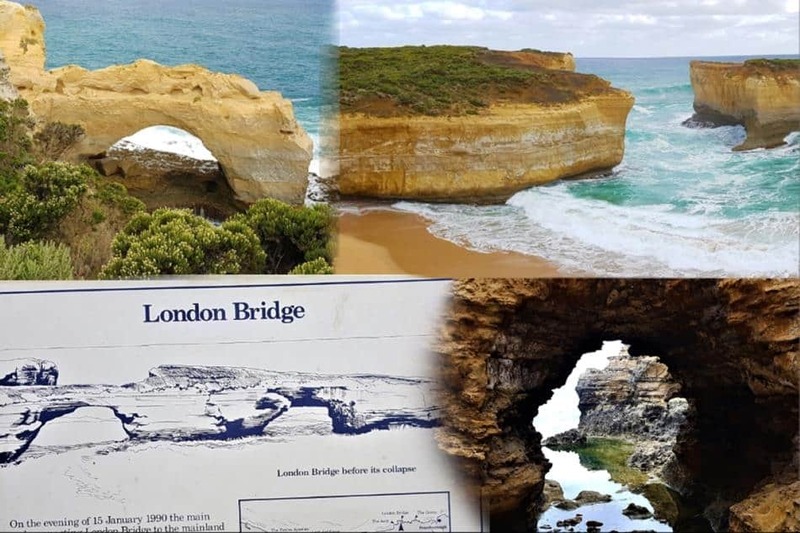 This self-drive suggested 2 or 3-Day itinerary takes in all the famous sights such as the 12 Apostles and a few extra areas, including one of the prettiest waterfalls in the area. Read our 6-day itinerary for more touring information. A pretty little seaside town that has escaped mass development and high-level buildings of any sort. 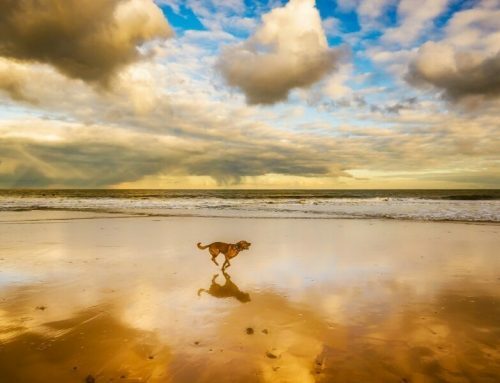 The beach is stunning, plenty of cafes and accommodation options as well as playgrounds and local walks. During the summer holidays, a small fairground is set up along the foreshore. Port Campbell is a tiny fishing village that boasts a large number of accommodation options, cafes, a microbrewery, and a pretty beach plus coastal walking tracks. 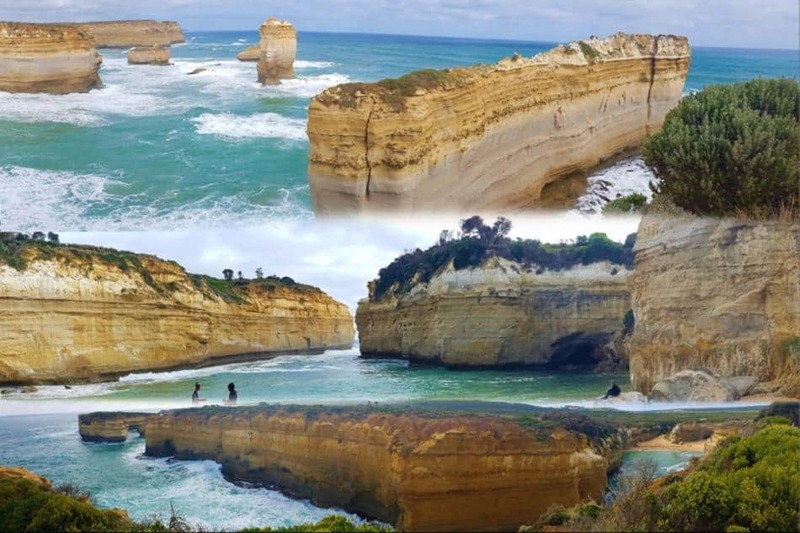 It is situated about 10 minutes drive from the 12 Apostles and is an ideal overnight stop, enabling people to visit the Port Campbell National Park at sunset and sunrise. This first section of the drive, following Highway One (Australia’s National Highway), is quite straightforward and not especially interesting. There is a 24 hour BP Petrol Station at Little River which is about 30 mins after crossing the West Gate Bridge. A good place to fill up and grab a snack perhaps. 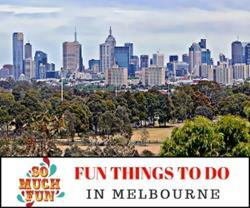 Geelong is Victoria’s second largest city and is a lovely city to visit with plenty to do. Visit ‘See Geelong’ for an expert guide from a local on the very best of what to see and do in this historic city. 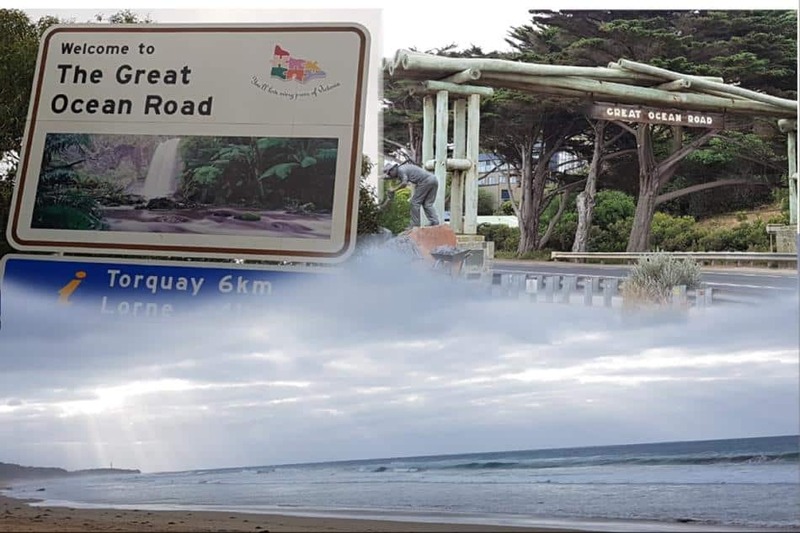 Keep following Highway One and look for the signs to the Great Ocean Road. Go via Torquay and Bells Beach or directly to Anglesea. 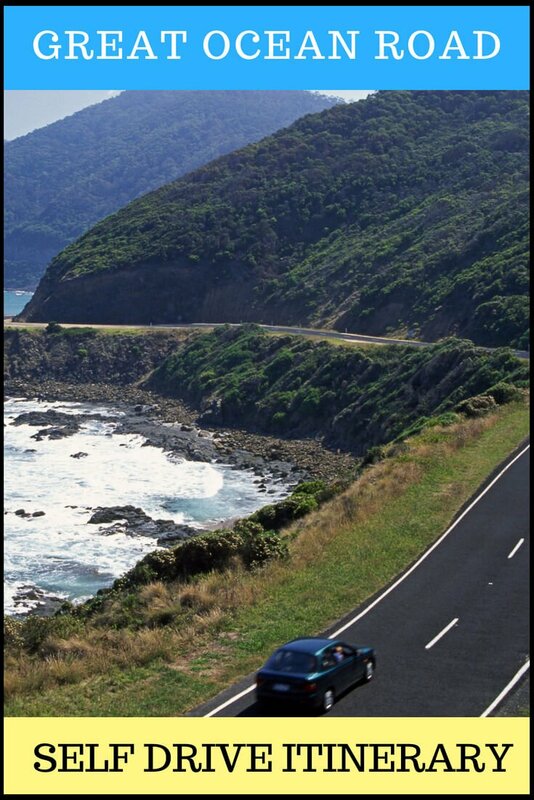 It is about 90 minutes from Melbourne to the beginning of the Ocean Road. Bells Beach is close by to Torquay, home of the Rip Curl Classic Surf competition, held annually since 1961 during Easter time (during the event there is no free public access along the road or to the beach). Long golden beaches and surf spots. Erskine Falls is an easy drive or a good hike, following the Erskine River from the town. Lots of fun can be had for kids on the foreshore with a lovely beach, swimming pool, in-ground trampolines, a skate park and playground. Parking for long vehicles – During the peak holidays seasons, parking for caravans or buses is limited. The streets behind Lorne are steep and not ideal for finding parking. The foreshore parking area is the best option. Artillery Rocks – A favourite of ours. Popular for fishing, the rock formations are worth seeing. They are about 12.5 km’s/under 20 minutes drive from Lorne (this is not signposted, but use the directions from the image below if you want to stop at one of our favourite spots). 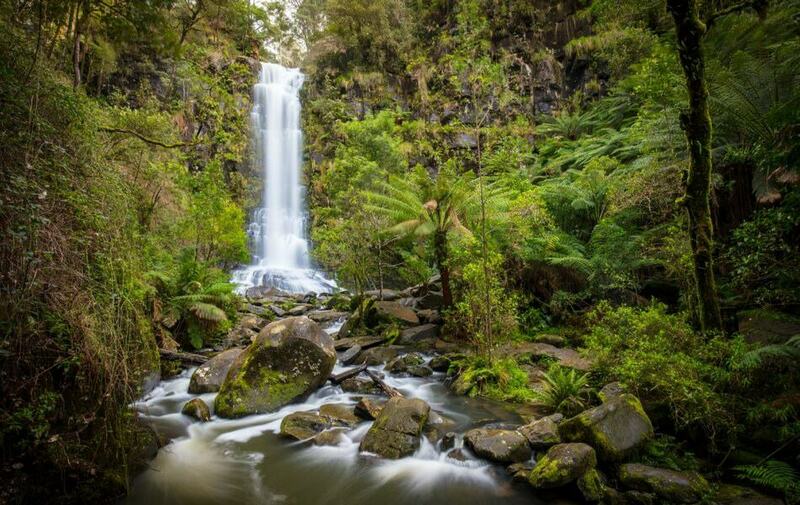 Sheoak and Carisbrook Waterfalls are both easy walks from the road, plus a number of other falls can be accessed further into the Otway National Park. Such a beautiful town for a holiday. Apollo Bay is not overdeveloped and has a super relaxed feel. The long golden beach, hills coming down beyond and a lovely foreshore area with playground, information centre, sculptures, free BBQ’s and walking tracks. Accommodation varies from caravan parks, youth hostels, cottages, whole houses, luxury accommodation and holiday units. There is somewhere fabulous to stay suitable for singles, couples, groups and families. Maits Rest This is a gorgeous rainforest walk and worth taking the time to see. 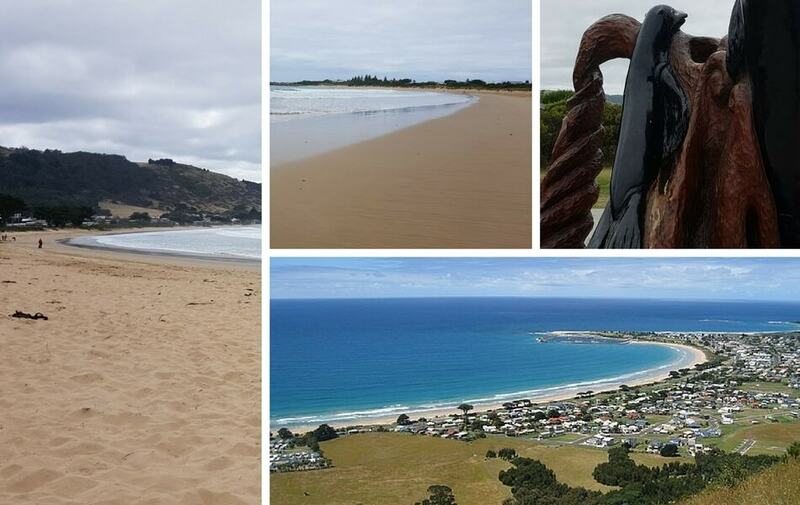 It is about 20 minutes from Apollo Bay and the walk is only about 15-20 minutes. Cape Otway A stunning area with a dramatic coastline, shipwreck history and historic lighthouse (cost to enter the lighthouse). 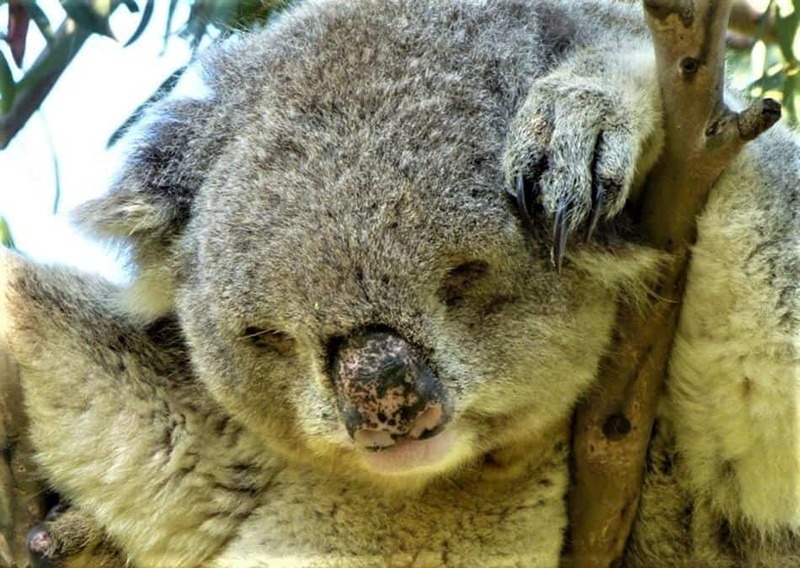 Koalas live here in the wild and can be easily spotted in the trees. A couple of small campsites as well as fab walks. Johanna Beach is a popular and well-known surf beach. Castle Cove has a good viewpoint and a fairly steep walk down onto the beach. 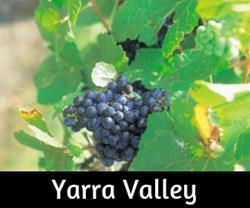 Lavers Hill is at the top of the Otway Ranges and a crossroads where a couple of options are available. Visit Triplet Falls and the Otway Fly Tree Tops Walk then on to Port Campbell for the night or continue to Port Campbell and the Twelve Apostles then return this way on the 3rd day. It all depends on time, weather and daylight hours available. 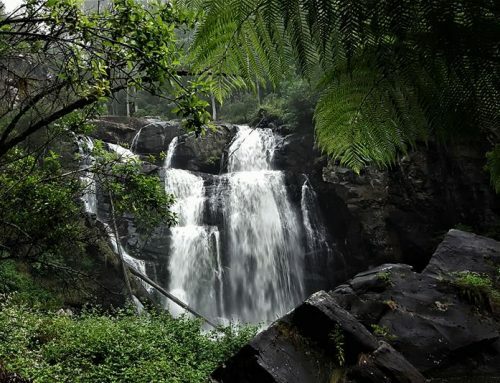 Turn right at the Lavers Hill junction, one of the prettiest waterfalls, Triplet Falls, is a 25 minute / 23.6 km drive away and definitely worth seeing. A number of other falls can be found in the area, check our map for more information. The Otway Fly is on the same road as Triplet Falls. an elevated tree tops walk and zip lining course. 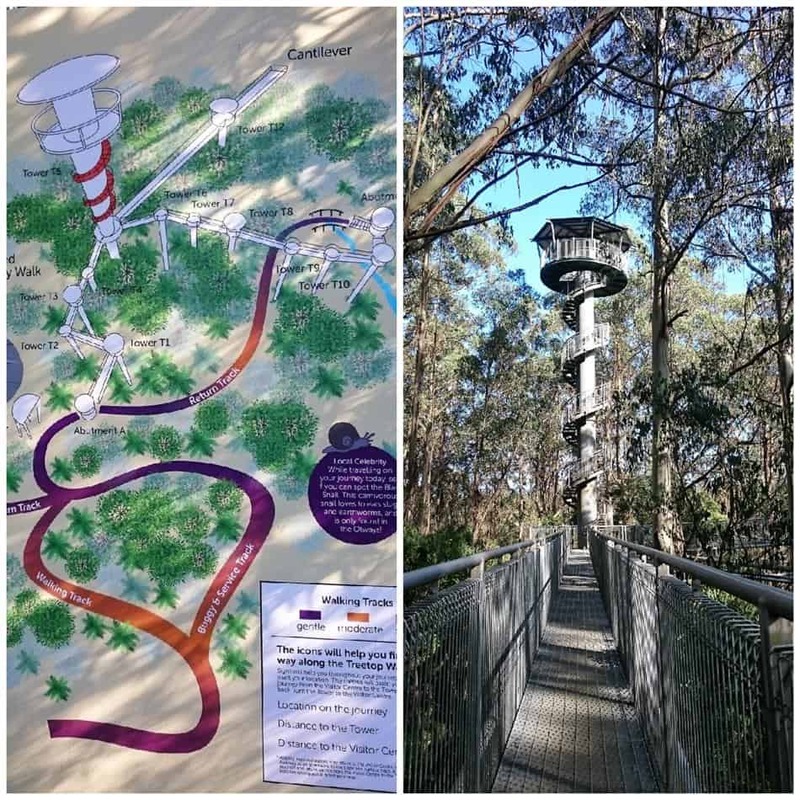 This is one of the most amazing treetops walks in the country and has a lookout tower that rises up above the tree canopy. There is a cost involved to enter. Read more about the Otway Fly, Zip Lining and nearby Trees Adventure climbing course here. The drive to the 12 Apostles area from Lavers Hill takes about 50 minutes. 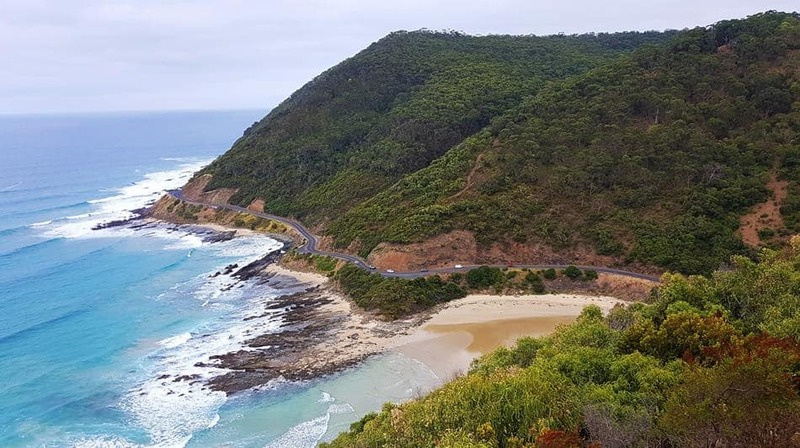 It passes through forest and farmland before returning to the coast and all the famous sights people come to see in the Port Campbell National Park. 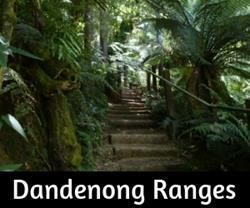 Melba Gully – Another pretty rainforest walk just past Lavers Hill. Ancient Myrtle Beech Trees and a small cascade. At night, this is a popular spot to see glow worms. Maybe stay nearby if you are keen to see them. Gibsons Steps – This is one of the best beaches, in my opinion. 88 steps cut into the limestone cliff face with stunning views towards two of the famous rock stacks of the 12 Apostles. During storms or high tides, the steps may be closed off but the lookout platform is still worth stopping for. 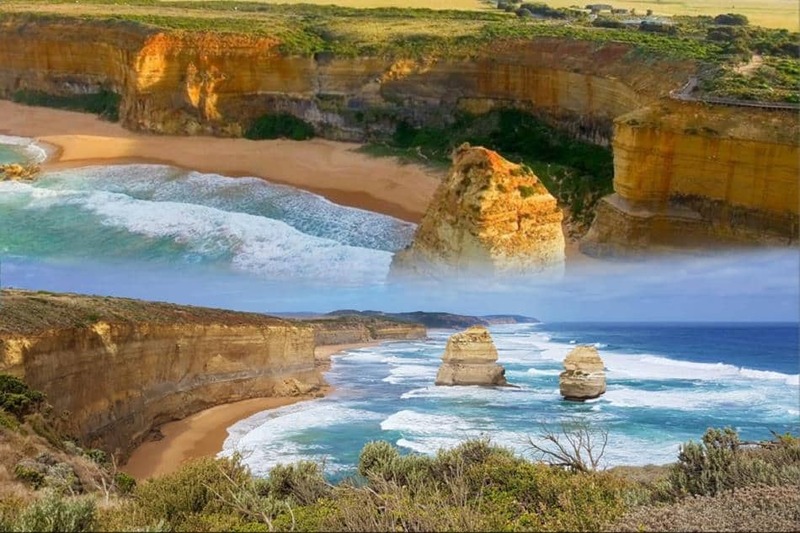 Twelve Apostles – It is a very short, 2-minute drive to the 12 Apostles car park. Loads of free parking, plenty of space for caravans and motorhomes. Helicopter scenic flights leave from here and are highly recommended! Mid to late afternoon is the busiest time here. Staying overnight in Port Campbell will enable visitors to return for sunset or sunrise and when it is less busy. The walk from the car park takes a couple of minutes to reach the viewing platforms. Toilets and basic cafe for drinks etc. Return on the 3rd day to see more of the area perhaps. 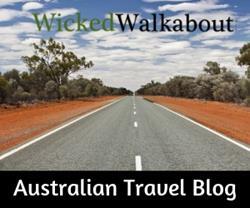 Not far from Port Campbell, towards Warrnambool are more places to visit. Calculate distances/drive times and search accommodation in Warrnambool, Adelaide or the Grampians.